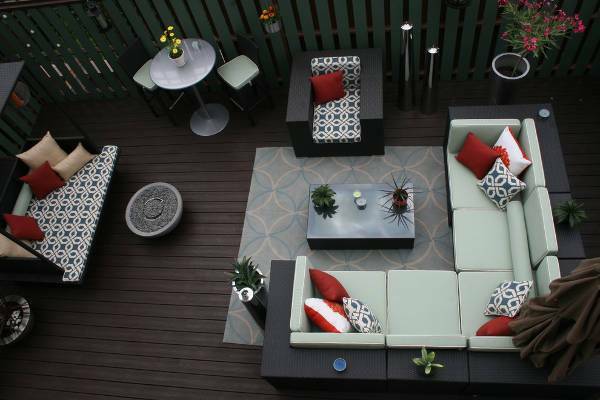 Decorate your patio by adding a rug which is sound absorbent, durable and resistant to bacteria growth. 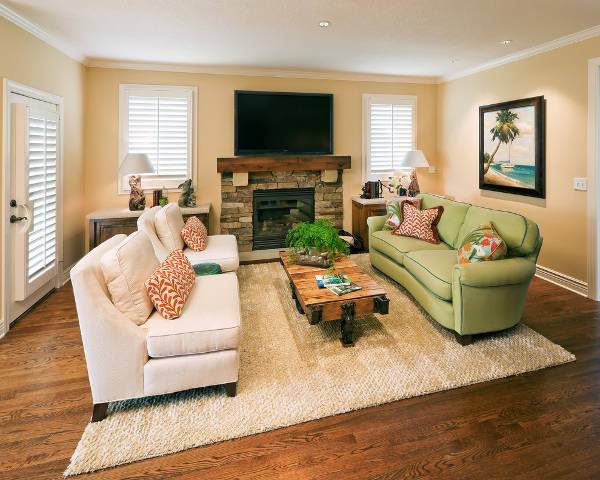 Rugs made from natural fibers such as sea grass will add texture and are sustainable. You can choose to add color by using synthetic plastic rugs. 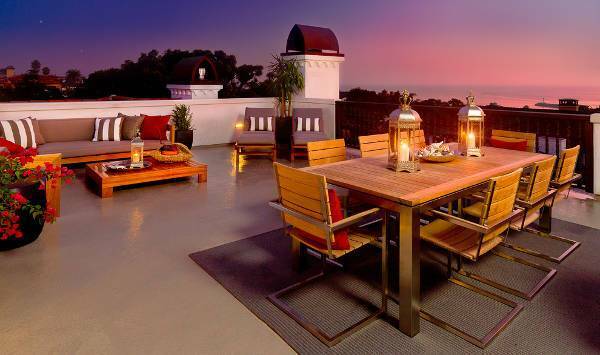 Stimulate conversation around the table by adding a round outdoor rug. These rugs look beautiful when placed under a round table. The shape of the rug will accentuate the circle shape of the table or a circular outdoor space. Large outdoors rugs are perfect for fitting large spaces. The large size of the rug will ensure the seats fit flawlessly and remain within the rug even after you pull them out to sit. 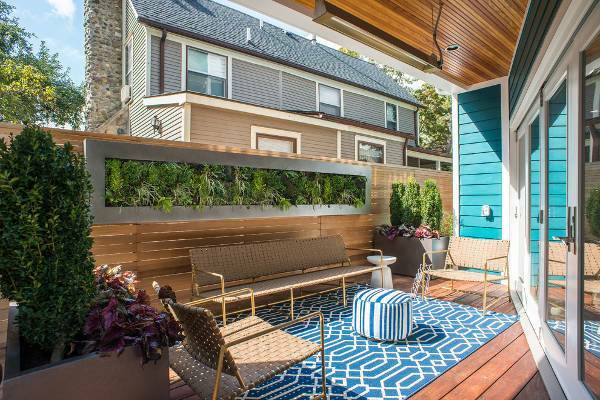 The oversized design will cover a large portion of the patio or deck. 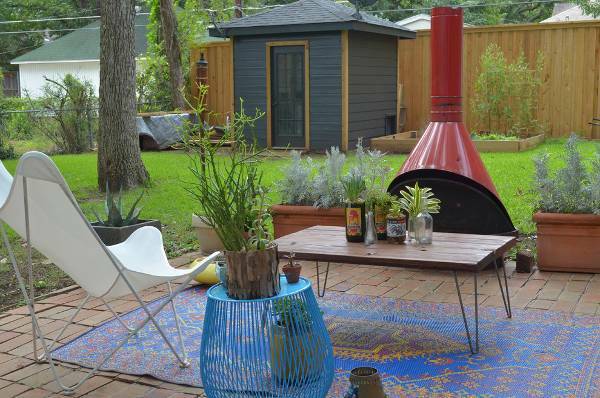 Bring a splash of color into your outdoor space by adding a colorful rug. Synthetic coverings like plastic and polypropylene are available in endless bright shades hence you can choose a color that complements your seats. These rugs are also easy to move around and clean. Rectangular outdoor rugs are the most popular design as the shape ensures the rug fits comfortably with both chairs and tables. The size of the rug should allow the seat’s feet to touch the fabric. 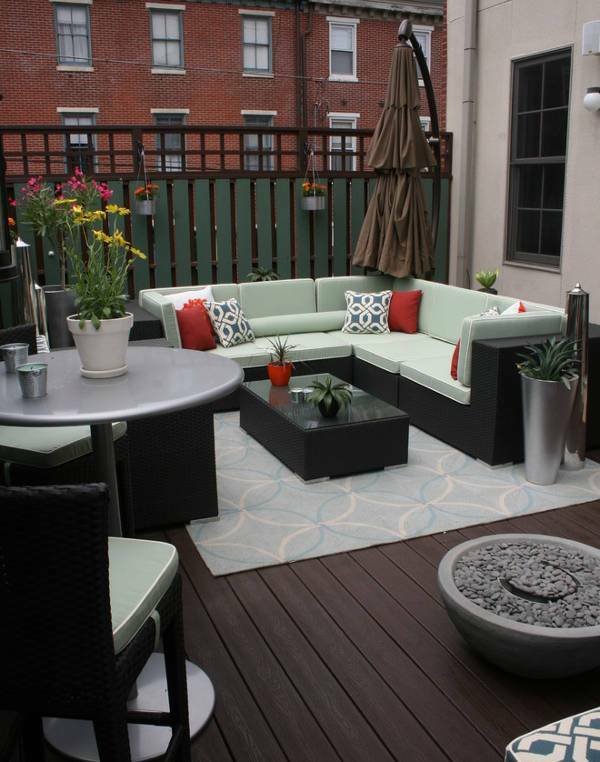 They look fantastic over a rectangular outdoor table and will even define this seating arrangement. 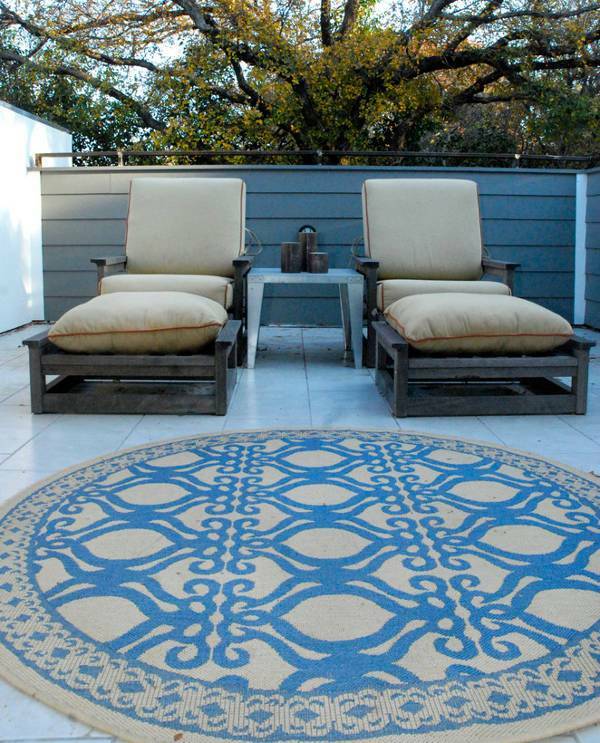 Be it circular, square or rectangular, outdoor deck rugs are designed to withstand moisture. Those made from strong fibers are durable and will not wear out quickly thus saving you money and time to look for another rug. 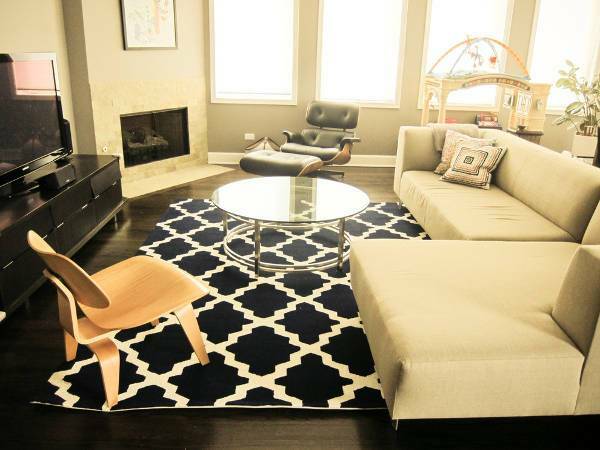 For a less expensive rug opt for synthetic designs. Modern rugs with their clean lines and simplicity can still be inexpensive and provide a cozy feel to your outdoor settings. They will not only decorate your space but also add warmth to a cold tied surface making the space inviting. Diy Outdoor rugs tend to contain patterns or designs that will reflect your unique personal style. Each of these rugs is handmade hence are one of a kind to ensure you get a pattern that suits the theme of your outdoor. 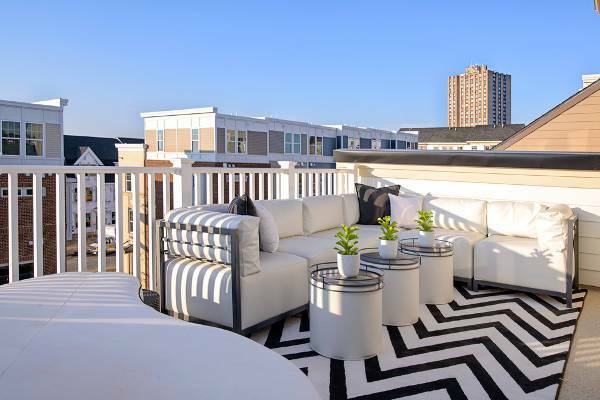 The interconnected V pattern in chevron rugs will accentuate your outdoor seating area. The bold stripes will easily complement simple furnishings and help the rug stand out. Those with bright stripes make a great focal point. Advancement in fabrication makes it possible to get a rug with your favorite flower. A favorite in many traditional homes, floral outdoor rugs are bold and feature repetitive elements. 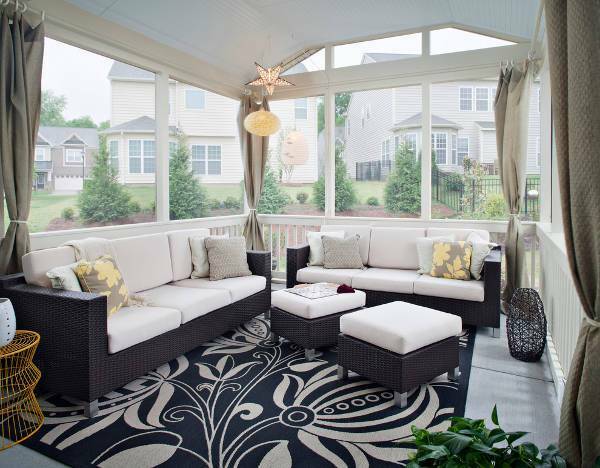 The floral patterns mimic the outdoor settings to give your sitting space an authentic look. 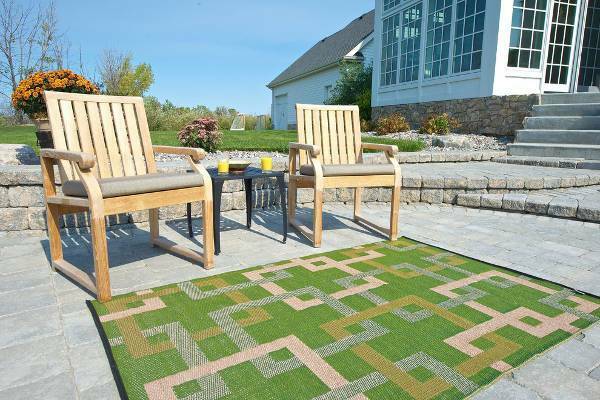 Outdoor braided rugs are ideal for people who want to blend traditional and contemporary themes as they are reversible. 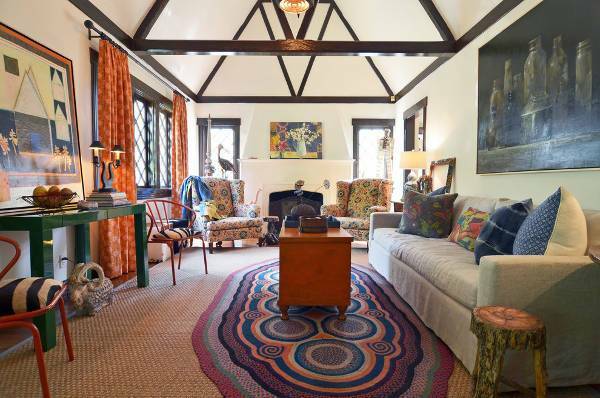 The braiding gives interesting details to the rug making it eye-catching. This pattern is also timeless and will ensure your space always look unique. Are you fond of natural colors? 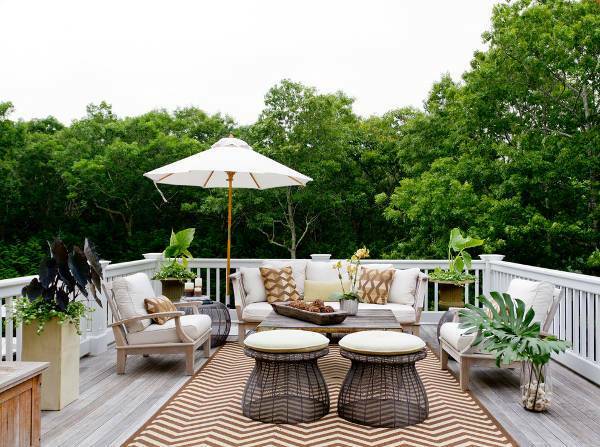 If yes, then rustic outdoor rugs are perfect for you. These rugs will accentuate rustic furniture, and the neutral colors will fit right in with the outdoor surroundings. Go for those who are weather resistant and unique. 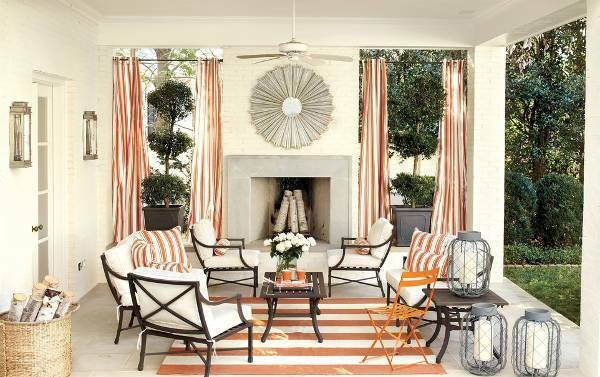 Striped outdoor rugs will make your space look more stylish. 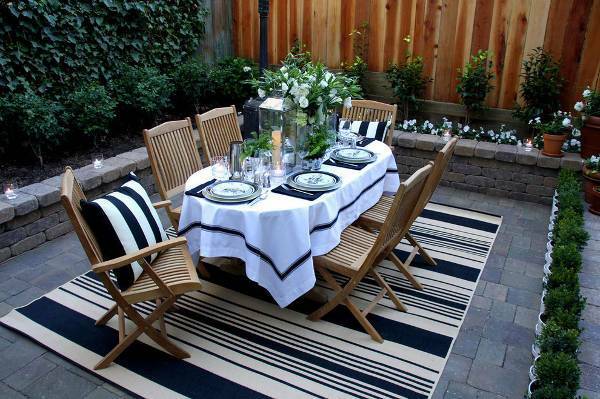 Give your outdoor covering something in common by matching the stripes with a focal point table. This will give you flexibility on how to place it. 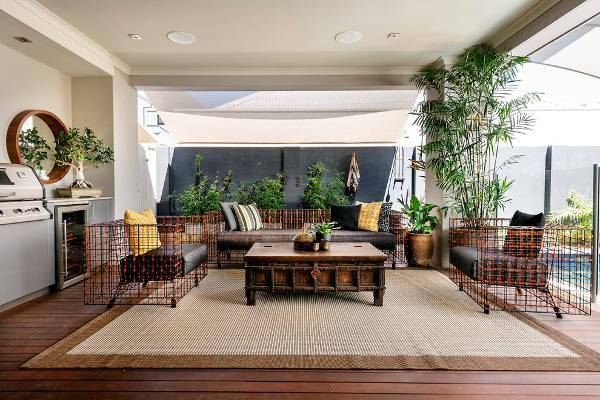 Contemporary outdoor rugs get their inspiration from mid-century designs. Even though made with traditional art they utilize modern designs making it easier to get your ideal rug size that will meet your decorating needs. Geometric rugs have an expressive image that will transform any outdoor space. While designs with same geometric shape look attractive, rugs that integrate more than two shapes will make a bold statement. 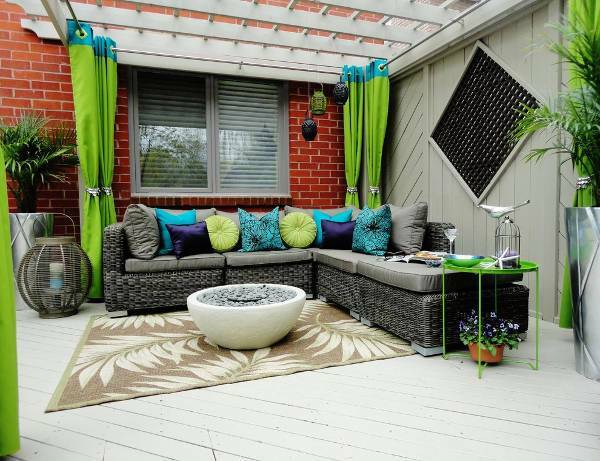 Plastic outdoor rugs are recognized for adding beauty. These synthetic rugs are stain resistant, repel water, don’t fade and compared to natural fibers they are less expensive. They are easy to move around, clean and tend to dry quickly. Outdoor rugs are available in many designs, sizes, texture and colors to complement your personal style. They enhance and show off your décor. When kids and pets want to come inside the house after playing, the outdoor rug will trap dust or dirt ensuring that indoor space is hygienic and easy to clean.